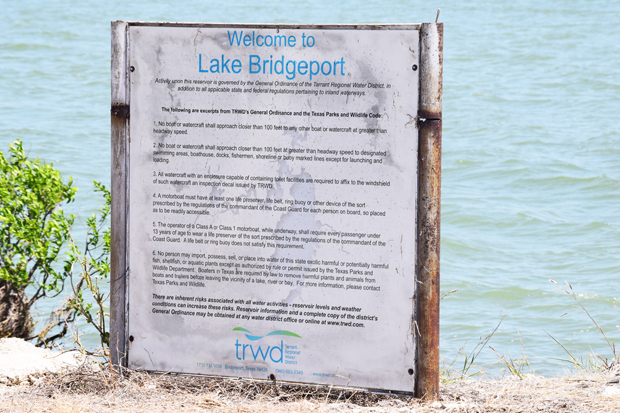 As one of the newest lakes in the area, Lake Bridgeport boasts pristine clear waters that has made this lake a haven for water enthusiasts. Located in Wise and Jack counties, this man-made, freshwater reservoir continues to gain popularity each summer as more and more North Texans discover this hidden gem with cool, crisp waters that have visitors coming in droves to enjoy recreational boating activities. Water skiing, jet skiing, sailing, sailboarding and wakeboarding are just a few of the many activities water sport enthusiasts can enjoy when spending a day on the lake. While at Lake Bridgeport, visitors enjoy views of gorgeous landscaping and serene shorelines free of rocks that offers a peaceful escape from the hustle and bustle of city life. The lake, with a surface area of 11,954 acres and maximum depth of 85 feet, was impounded in 1932 and renovated in 1972 with a new spillway and careful attention to its landscaping. The water is clean and the beaches are sticker free, promising a day full of fun whether swimming in the cool waters or zipping across the crystal waters.